This morning I was shocked (quite literally) to discover that the bodega had been taken over by none other than Johnny English (aka Rowan Atkinson)! I entered the office at just before 9am when daylight had barely arrived, and the office was almost completely dark. Sitting in my chair was the silhouette of a person, which at first glance made my heart skip a beat. It wasn’t until I turned on the light that it immediately became apparent that it was merely a (life-sized) cardboard cutout! 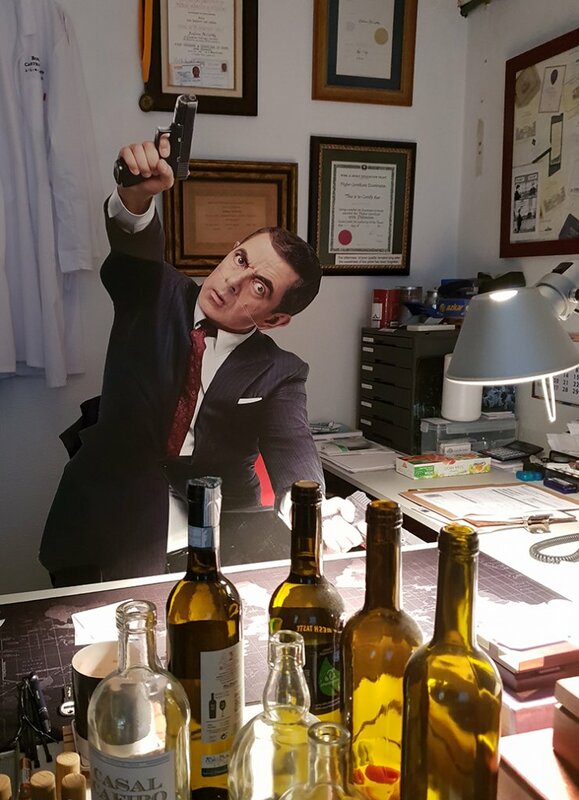 Someone had managed to acquire a cutout of Johnny English (apparently from a local cinema) and decided that it would be fun to seat it at my desk… which of course it was. I can only assume that the joke was somehow related to my Nationality rather than the fact that I am as clumsy, awkward and dysfunctional as Mr Bean himself!